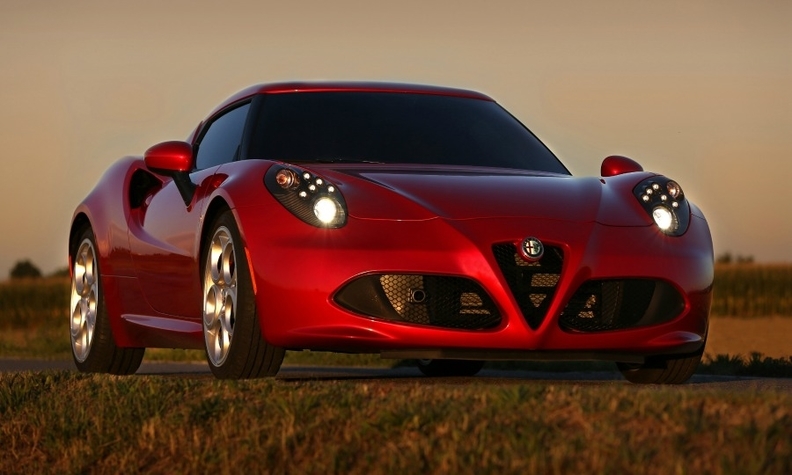 Fiat Chrysler is expanding its upscale offerings with models such as the Alfa Romeo 4C, pictured. LONDON (Bloomberg) -- Fiat Chrysler plans to sell holdings valued at about 602 million euros ($820 million), freeing up cash to invest in an expansion of its upscale brands. The automaker will sell 3.5 percent of Fiat's shares as well as 2.5 percent of truck and tractor maker CNH Industrial to American investors, CEO Sergio Marchionne told reporters on Thursday in Basildon, England. The effort would help build relations on Wall Street as the carmaker prepares to establish its primary listing in New York in the first two weeks of October following the creation of Fiat Chrysler Automobiles NV. The merged company is aiming to more than double profit and lifting annual deliveries 61 percent over the next five years. Those targets are underpinned by a 55 billion euro investment plan that calls for expanding the upscale Maserati and Alfa Romeo brands as well as making Jeep a global nameplate. In a sign of progress on the CEO's strategy, the Maserati brand will double its dealership network to about 500 by 2015 to sustain growth for models like the new Ghibli compact model, Harald Wester, the brand's chief, said in an interview on Thursday. The carmaker expects its expansion to help it match 2013's full-year deliveries of 15,400 vehicles already by the end of June. Marchionne is also betting that a 5 billion euros ($7 billion) investment in Alfa Romeo will reverse a decade of losses and seven years of collapsing sales at the brand. The CEO plans to add eight new Alfas with the goal of boosting the brand's global sales to 400,000 vehicles in 2018 from 74,000 last year. Fiat bought full control of Chrysler in January, with the merger part of Marchionne's decade-long effort to turn the Italian company into a carmaker big enough to challenge General Motors Co., Volkswagen Group and Toyota Motor Corp.